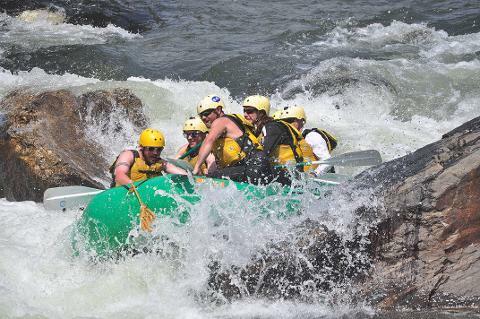 Descending an astounding 110 feet per mile through eight miles of Clear Creek's Lower Canyon, this advanced rafting stretch is not for the faint of heart! 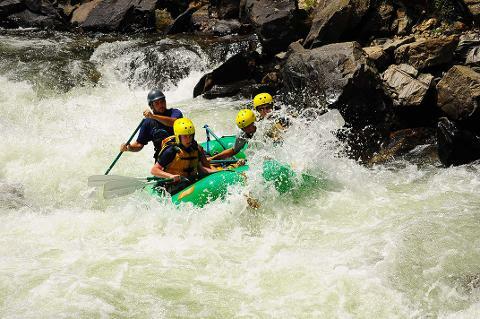 This is one of the steepest commercially rafted stretches in the world, and the beautiful scenery quickly gives way to steep descents, fast moving water, and non-stop action. 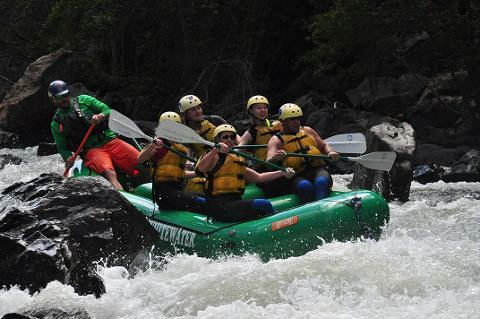 The Lower Canyon is comprised of two Class III rapids, two Class III/IV rapids, FIVE Class IV rapids including Beavers 1 and 2, Hell's Corner, Terminator 1 and 2, and Corkscrew. 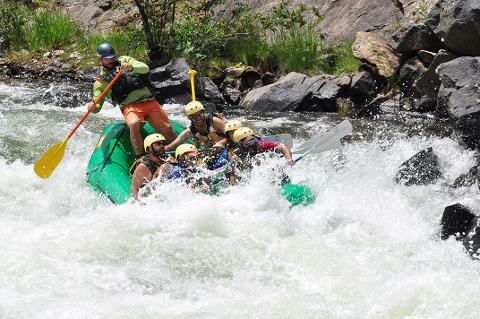 The apex of this run goes by the name of Double Knife, Class IV-(V), and it never disappoints! Remember to smile for the camera at Double-Knife, where Rapid Image Photography will be taking your picture whether you like it or not! 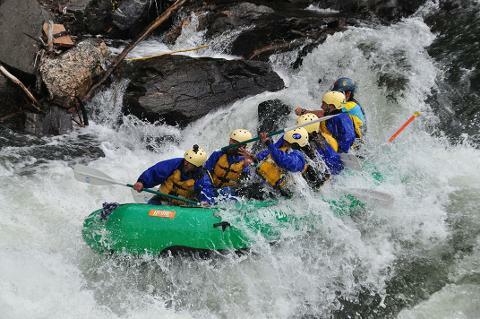 Every trip includes a wetsuit, splash-jacket, and helmet to keep you safe and warm throughout the mayhem. 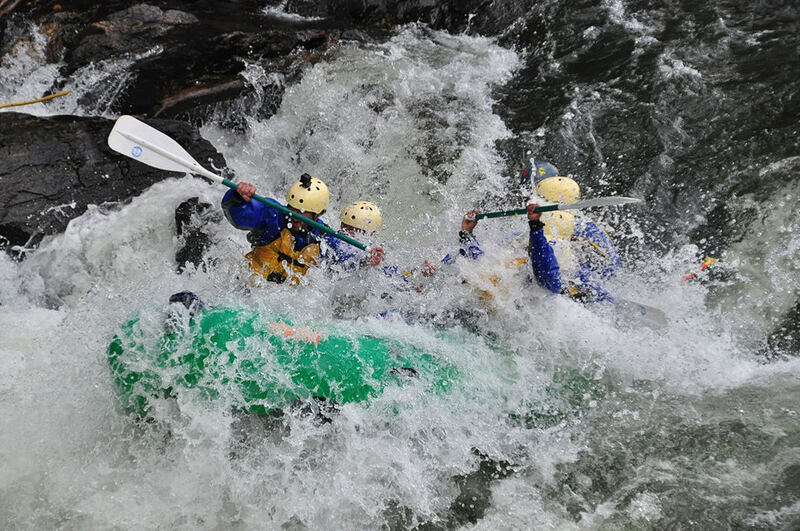 This is a Class IV-(V) trip and requires good physical condition, hard paddling, and strong swimming ability. If this sounds uncomfortable, we have plenty of options every age, ability, and comfort level from Class II to Class V. If you have any questions, please feel free to call us at 970-724-1122 to speak to a friendly, knowledgeable member of our staff.